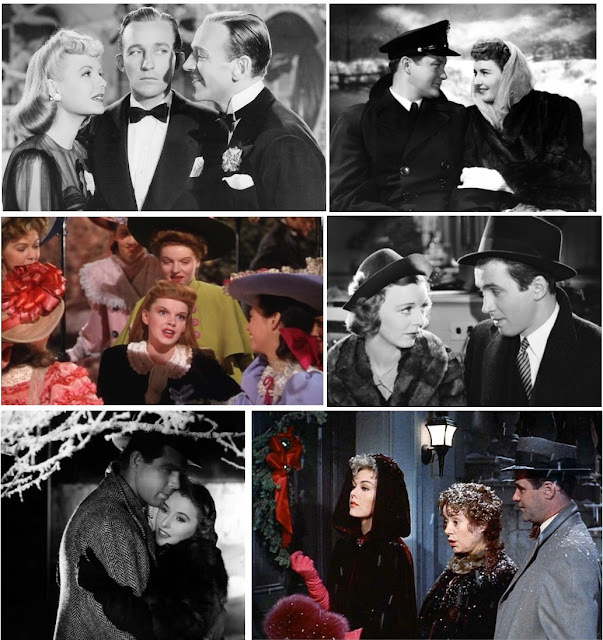 In my pre-TCM life, before 2005, I ritually watched a small handful of classics during the holiday season every year, films like A Christmas Carol (1951), The Bishop's Wife (1947), Miracle on 34th Street (1947) and Scrooge (1970) that had been airing on network TV and local channels for years. Then I discovered Turner Classic Movies and the titles on my list of annual favorites multiplied. These are some of the holiday must-sees I watch in December as the 25th draws near, each of them introduced to me by TCM. 1. Holiday Inn (1945) has just about everything going for it: Bing Crosby singing and Fred Astaire dancing in a Mark Sandrich musical featuring songs by Irving Berlin, including his "White Christmas" (introduced by Crosby in this film), along with "Happy Holiday" and other original tunes. Though a mischievous plot about a pair of competitive song-and-dance men wends its way through the seasons, Holiday Inn begins and ends at Christmastime. Click here for a link to my blog post on Holiday Inn. 2. Christmas in Connecticut (1945) stars Barbara Stanwyck who works her onscreen magic as a women's magazine columnist with a closely held professional secret. She's accompanied by the likes of S.Z. Sakall, Sydney Greenstreet, Reginald Gardiner and Joyce Compton in supporting roles and co-star Dennis Morgan as a returning war hero. Set as World War II came to a close, the film reflects the special significance of home and Christmas at the end of a hard-won war. Click here for a link to my blog post on Christmas in Connecticut. 3. Meet Me in St. Louis (1944) is a year-round gem for, similar to Holiday Inn, it makes its way through all four seasons and comes to a climax at Christmas. Director Vincente Minnelli has a long list of classics to his name (Father of the Bride, An American in Paris, The Bad and the Beautiful, The Band Wagon, Gigi, Some Came Running) as does the film's show-stopping star, Judy Garland, but neither made a better film than this gorgeous musical ode to family life in America at the beginning of the 20th century. Click here for my blog post on Meet Me in St. Louis. 4. The Shop Around the Corner (1940). Like Vincente Minnelli, director Ernst Lubitsch possesses a formidable filmography: Trouble in Paradise, Easy Living, The Merry Widow, Ninotchka, To Be or Not to Be. Set in a snowy Old World Budapest, this romantic comedy has lost not the slightest fizz of its effervescence in the nearly 80 years since its release. James Stewart and Margaret Sullavan as a pair of gift shop sales clerks whose ships nearly pass in the night were never better cast or in better form. Frank Morgan as the gift shop owner and Felix Bressart and Joseph Schildkraut as two sales clerks stand out in an impeccable ensemble cast. The Shop Around the Corner is simply flawless, Ernst Lubitsch's masterpiece. It comes as no surprise that his protege Billy Wilder had a sign over his desk that read, "What would Lubitsch have done?" Click here for my blog post on The Shop Around the Corner. 5. Remember the Night (1940) features the last screenplay Preston Sturges wrote before he began to direct as well as write. Of the film, under Mitchell Leisen's direction, Sturges wrote, "...the picture had quite a lot of schmaltz, a good dose of schmerz and just enough schmutz to make it box office." It's not a Sturges screwball, but it is an offbeat romance about an ambitious assistant DA (Fred MacMurray) who ends up taking a soon-to-be-convicted shoplifter (Barbara Stanwyck) to his family home for Christmas. 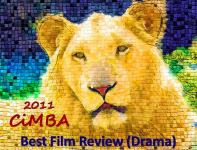 The film boasts well-balanced elements of drama and comedy and delivers an affecting meditation on the quirks of love. As Sturges put it, "love reformed her and corrupted him." Enduring performances by Stanwyck, MacMurray and Beulah Bondi are highlights, with nice turns, too, from Sterling Holloway and "Bossy" the cow. 6. Bell, Book and Candle (1958) isn't your typical Christmas tale, though, like Holiday Inn, it travels through the seasons and returns to Christmastime. Set in New York during its late '50s heyday, the film's depiction of that city at that time is worth the price of admission alone. But there's more. Lots more: clever/wacky glimpses into the world of publishing, the beatnik scene and the occult underground. Scurrying everywhere are myriad oddballs portrayed by talents like Jack Lemmon, Ernie Kovacs, Hermione Gingold, Elsa Lanchester...and Pyewacket, a Siamese cat. James Stewart is a book publisher, Kim Novak is the sorceress who, in a fit of vengeance, bewitches him. Bell, Book and Candle may not be your typical Christmas movie, but it does spice up and light up the holidays. Love "Bell, Book and Candle", a unique movie that beautifully captures the 50's, with a heavy dose of wit. Interesting that 1958 saw Kim Novak bewitching James Stewart in another one-of-a-kind film, "Vertigo". Pretty good year for those two. Wonderful picks, Eve, and you have included many of my favorites! As a youth, I also preferred HOLIDAY INN over WHITE CHRISTMAS, but I reversed myself in the 1980s as my fondness for Danny Kaye grew (and I adore Vera-Ellen in WC, too). I was late in appreciating BELL, BOOK AND CANDLE, but am a big fan now. It's a fun--and appropriate--pic for a Christmas fave. Oh, Rick, if only I were a Danny Kaye fan! Actually, I think he does a fine job in "White Christmas," but I prefer the dynamic between Bing Crosby and Fred Astaire in "Holiday Inn" and especially enjoy Fred's turn a scheming scoundrel. This list is just about the same as mine (lacking only Dickens -- and the Muppets). This year I was struck by the fact that the three top stars of the delightful comedy The Shop Around the Corner, Morgan, Stewart, and Sullavan, starred with equal effectiveness that same year in the tragic anti-Nazi drama The Mortal Storm. I also particularly appreciated the marvelously telling production design of Remember the Night, pointing up the contrast between her grim, forbidding mother, and the supportive home he is able to show her, probably for the first time, demonstrated by the way his boyhood bedroom has been lovingly preserved. Though "The Shop Around the Corner" is my favorite of the films starring Sullavan and Stewart, I'm also a fan of their "The Mortal Storm" and "The Shopworn Angel." The two worked beautifully together. You make an excellent point about the production design of "Remember the Night" Linda, I took particular notice of the effectiveness of set design and lighting as I watched it a few nights ago. Hi Lady! I so enjoyed this article -- do you know I've never seen "Remember the Night"? I don't know how I missed it! All of those movies are such beloved favorites, and I have to watch them too. I always have to add "The Bishop's Wife" and my favorite Dickens George C. Scott's "Christmas Carol." I hope your Christmas and New Year's were as joyful as mine. This looks to be a better year than before, that's for sure! Well, hello, Becky, and Happy New Year! I think you will love "Remember the Night," it strikes me as your kind of movie. "The Bishop's Wife" is a favorite of mine, too, though I only discovered it in the early '80s. And George C. Scott's is my favorite "Christmas Carol." I hope 2018 brings you nothing but good things. Great to hear from you again.